With so many likely disasters that could occur at a moment’s notice, a lot of people are taking the step of buying a survival property where they could retreat to, or a “Bug Out Location.” There are even lots of websites which specialize in selling survival properties, such as www.strategicrelocation.com and www.survivalrealty.com. While I also would love to have the peace of mind which comes with owning a survival property, this is why I am NOT going to buy one. You invest a lot of money, time and effort into your survival property, but get the satisfaction that comes with it being yours. Hate to break it to you, but ownership won’t mean anything in a true disaster situation. The moment a gang of starving people sees your property, they are going to raid it and take it for themselves. I am a realist. Even with a good stash of ammunition and installing defensive structures, I know that I wouldn’t be able to defend the property for long (it’s just me, my wife, and small child – how long could we realistically last?). Take a look at this population density map. You will see that most people, including myself, live in pretty dense areas. One of the requirements for choosing a Bug Out location is that it must be remote. Another requirement of a Bug Out location is that it must be accessible (ideally within 1 tank of gas). Even if you find a “remote” area near you, chances are that it will be overrun by people when a disaster strikes (you won’t be the only one with the idea of fleeing into the wilderness!). Unless you live in the Dakotas, Montana, or Wyoming, chances are there aren’t any suitable Bug Out properties for sale near you. I could go ahead and buy a seemingly remote survival property near me, but if SHTF, I really wouldn’t be able to rely on that location. Survivalists and preppers spend a lot of time predicting what disasters are more likely, and what would happen in the aftermath. But the truth is that we don’t know. Even if I spent a lot of time calculating which survival properties are on “safe zones” away from likely risks like hurricanes, nuclear power plants, and earthquake fault lines, I still could end up near ground zero. I’d rather have a few good Bug Out locations scouted out rather than relying on one survival property which might not even be there when SHTF. 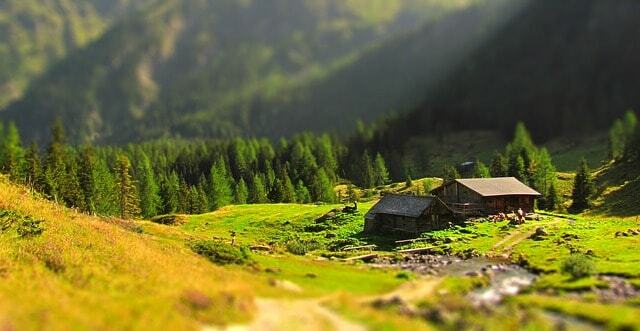 The one benefit of buying a survival property (as opposed to bugging out in the wilderness) is that you will be able to stockpile the property with survival supplies, and can even get off-grid technologies going, make a survival garden, and get some backyard chickens. But all of these things will make you a target to anyone who comes by. Yes, there are all sorts of ways to camouflage your survival property, but someone is eventually going to find you. Thieves and looters always pick the easiest target in relationship to the reward. In a survival situation, those chickens (or your solar panels, water well, etc.) are going to be a BIG reward. No matter how many defenses you have up, thieves are going to go for you. Again, we don’t know what would happen in a disaster situation, but I predict that staying mobile is going to be a lot more beneficial to your immediate survival than staying put at one survival property. Of course, this will require that you know wilderness survival skills like how to build a survival shelter, how to find water, how to purify water, edible plant identification, first aid, and self-defense. Finally, I’ve got to point out that buying a survival property requires a large investment. Yes, this is an investment in your survival and security – but I’d rather spend my money on supplies and learning survival techniques than putting all my eggs in one basket. You have the money to spare. If you’ve got the money, then invest it in your survival and security! There are truly remote, safe areas located near you. Do the research. 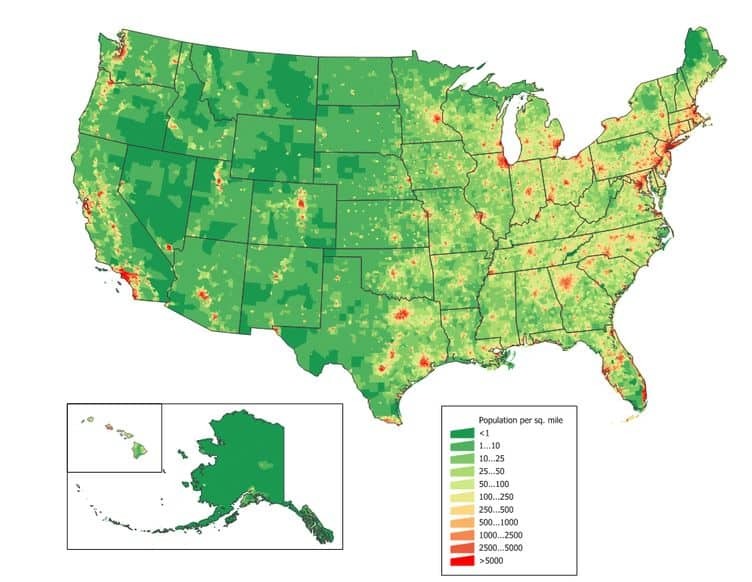 What is the population density of the areas around you? What is the likelihood of a natural disaster hitting these areas? How accessible is the property to other people? Are there natural defenses in place (like it is located at the top of a hill where you could see intruders coming)? If you find a survival property nearby which meets these requirements, then buy it! You or your family wouldn’t survive in the wilderness. If anyone in your group has medical problems, is elderly, or is very young, then they probably wouldn’t fare well in a wilderness survival situation where you’ve got to walk a lot every day and may need to go long periods of time without food or basic resources. Even if the survival property isn’t 100% secure, it is still better than having no survival retreat or trying to bug out in the wilderness. You will be able to use the property, even in non-disaster situations. I’m saving up to buy a cabin in the woods – but not to use it as our “survival retreat” or “bug out location.” I just want a nice place to take my family and friends to on weekends so we can get some fresh air. Because of the population density of the area, I know that this cabin won’t be suitable as a SHTF survival property. But it is still a good investment because we will enjoy the property, and it will make a good temporary retreat for short-term and small disasters. Are you considering a survival property? Let us know in the comments below or join the conversation on Facebook! If you state the “6 Reasons Why I’m NOT Buying a Survival Property, ” then you state near the end that you haven’t completely rulled it out. Sounds a little contradictory to me. Nothing is black and white, my reasoning for and against is clearly stated in the article. Happy to debate any specific points you may have? I’m glad I read this. I live in FLA on a sailboat and have been looking at undeveloped property around me. I’ve been horribly discouraged at the prices I’ve seen. I’ve realized that grabbing my SHTF supplies, bringing them aboard and heading out for open water will put me far out of the way of the roving hoards of desperate humanity looking for easy scores. Who wants to risk drowning to try and steal from an armed crew (no, I wouldn’t be alone) a mile from land when cities, towns and roadways will be target rich environments? And with solar, wind generator, and watermaker – we are pretty much self sustainable. A few caches of extra supplies buried in various locations a hundred yards inland complete the plan. You make several good points in your article. Thanks. Hey BW – never really considered bugging out in a boat, its an interesting concept and certainly has some advantages. Has anyone else looked at this option? my sailboat is also my first choice in a SHTF situation. We bought property about 2 years ago for camping out and fishing. Late last year the land and house came available and we bought it for a steal. We sold our house in the city and now live on 12 acres of hunting land, fishing and garden area’s. It’s over an hour from any big city. We feel very comfortable bugging in here. City folks who pound the pavement are as unlikely to come here as I am to go there in a SHTF situation. The land and house next to our land is what I meant. I agree with Jacob on not buying a buyout property. A while back my wife and I were considering it and found what we thought was as remote a place as possible in the back country. It was 40 miles from anywhere and just Jeep trail to get near it , so we decided to camp out for the weekend as a test run. The first hour there 3 people came by and over the course of the weekend more than a dozen. There is no place to hide that can’t be found and even mobile buyout is only a temporary solution if there is a full collapse event. If a cataclysmic SHTF event occurs, we’re pretty much guaranteed that nine of every 10 individuals will die in the first 12 months… that’s going to leave an incredible amount of properties available to most anyone who wants them. Additionally, I’m not much interested in finding/buying/paying for/improving/stocking a BOL only to find everything, post-SHTF, now belongs to someone who got to my property before I did and has more firepower & warm bodies to protect my stuff from me & mine. I live in the UK which is obviously a relatively small country. There are still plenty of wilderness areas like the Scottish Highlands but you can just imagine in a SHTF situation all those people spilling out of the cities with no real plan and, probably, no way to sustain themselves for more than a week or two. Wherever you are someone or some people are eventually going to come knocking and in desperate times people will do whatever they can to survive. We obviously have much tighter gun laws than the US, although even if you were armed to the teeth how long can you realistically hold out against a whole gang of people armed to the teeth? It’s a tricky one because I can always see the argument in favour of mobility but eventually, unless you’re on foot, something is going to happen like fuel running out or a serious breakdown that, no matter what your mechanical skills, can’t be fixed because the spare parts have run out.